Physical therapy is hard work, but it can still be an enjoyable experience. 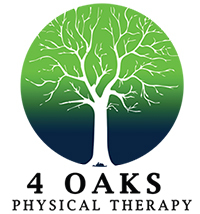 At 4 Oaks Physical Therapy, we believe that the best results are achieved when we keep our patients motivated and happy during the therapy process. Our therapists want you to feel better and experience improvement on your very first day. We help you understand the progress you’re making as you work towards your goal. We want you to look forward to therapy sessions with our friendly staff and warm atmosphere. Travis Marquess, the owner of 4 Oaks Physical Therapy, has been practicing physical therapy/athletic training since 2001. His primary focus during that time has been outpatient orthopedics, with an emphasis on post-surgical patients. Travis graduated from physical therapy school at the University of Maryland Eastern Shore and is also licensed in Maryland as an athletic trainer. As an athletic trainer, Travis has worked with athletes of all ages and levels, including collegiate and professional.